Medvedev introduces law on fuel and energy security | Russian Legal Information Agency (RAPSI). Moscow, April 18 - RAPSI. A draft law providing fuel and energy facility security will give the government an opportunity to approve anti-terrorist security measures. The new law was introduced to the lower house of the Federal Assembly of Russia (State Duma) by President Dmitry Medvedev, the Kremlin press service announced today. “According to the federal law, the Russian government will now be allowed to establish anti-terrorist security measures for the fuel and energy complexes. To ensure proper implementation of the measures, the law implies administrative responsibility for security breaches under Article 20.30 now included in the Code of Administrative Offences,” the statement said. Earlier, State Duma Speaker Boris Gryzlov said the new law is aimed at codifying the security system of the Russian fuel and energy industry and improving the respective regulations. Each region will approve a specific list of installations to be included in the federal register of fuel and energy facilities. Security will vary according to the current danger classification (low, medium and high) at each installation. The law also says that each facility will receive a “security passport” indicating various facility specifications, danger classification, potential consequences and technical, physical and fire safety data. All bills which are introduced must first be considered by the State Duma. 13:41 18/04/2011 A draft law providing fuel and energy facility security will give the government an opportunity to approve anti-terrorist security measures. 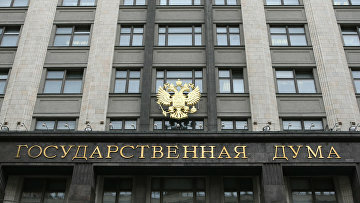 The new law was introduced to the lower house of the Federal Assembly of Russia (State Duma) by President Dmitry Medvedev.